Step 1 Blend all ingredients until smooth and frothy. 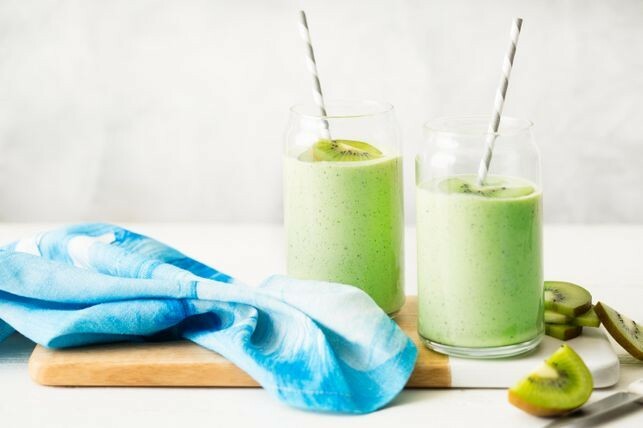 Combine kiwifruit, coconut yoghurt and quinoa flakes in one delicious breakfast smoothie. Make sure kiwifruit are ripe as they add sweetness. You could also use Jalna Sweet & Creamy Yoghourt.